Born and raised in Riverside, California, Abel grew up attending Harvest Christian Fellowship. At a Junior High Summer Camp Abel first experienced conviction of the Holy Spirit for himself, however it was a long process of wrestling and rebellion which eventually brought Abel to a place of surrender at a Harvest Crusade in 1997. With a renewed life in Christ, Abel and his high school sweetheart Christina began attending CCO. Six months later, Abel started serving as a leader in the Junior High Ministry. Within 2 years Abel and Christina were married and a year later Abel obeyed God's call to leave his projected path to serve full time as a Junior High Pastor. 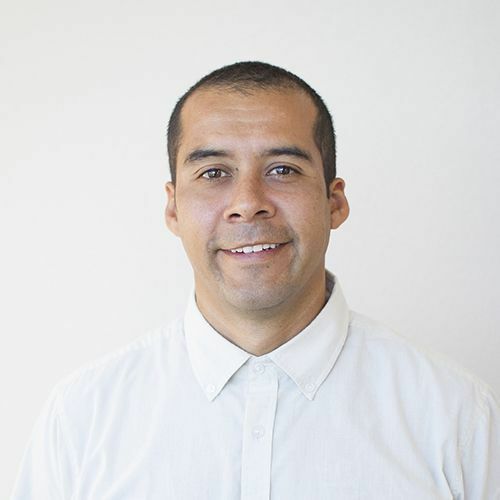 Since June of 2000, Abel has served as a Pastor at Calvary Oceanside. He currently oversees all CCO Graphic Production, Student Ministries, and teaches the Young Adults every Thursday Night. God has blessed Abel and Christina with 3 children, Brayden, Adysen and Camryn.